1. 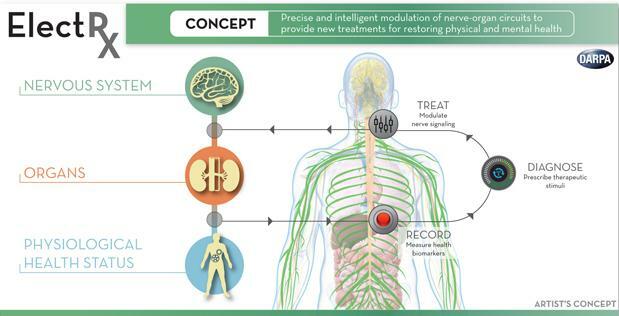 #NIH_SPARC: The SPARC Initiative, "Stimulating Peripheral Activity to Relieve Conditions"
"The SPARC program tentatively plans to support interdisciplinary teams of investigators to deliver neural circuit maps of several organ systems, novel electrode designs, minimally invasive surgical procedures, and stimulation protocols, driven by an end goal to develop new neuromodulation therapies." Article: "DARPA Wants to Jolt the Nervous System with Electricity, Lasers, Sound Waves, and Magnets"
TNF is a molecule that promotes inflammation. 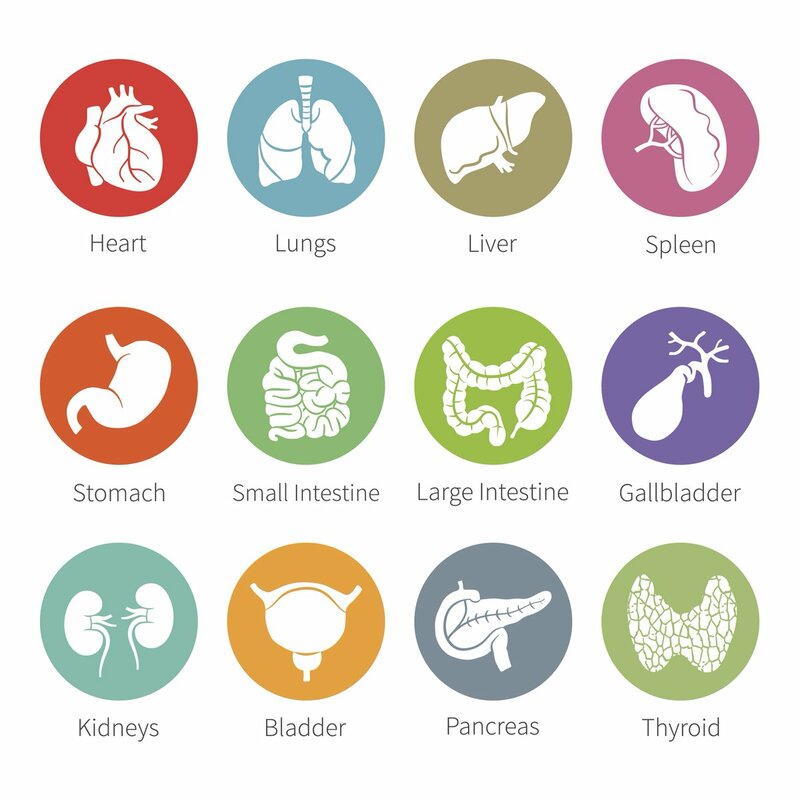 It is involved in many autoimmune and immune-mediated disorders e.g. rheumatoid arthritis. Neurosurgeon K.J. 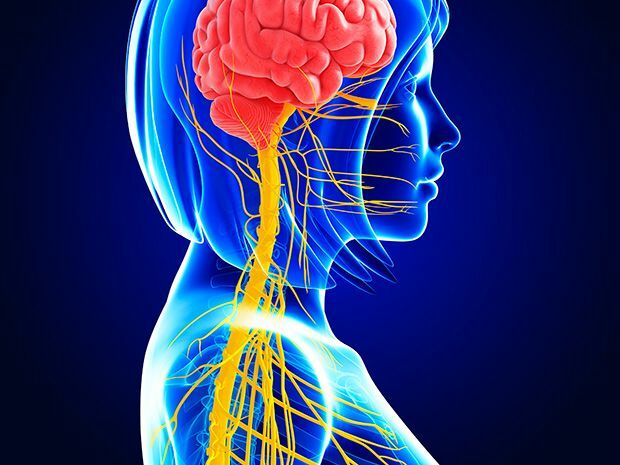 Tracey found that electrical signals that eventually mediate its release pass by the vagus nerve, a nerve that begins from the brain stem, at the level of the ear, and innervates all major organs. "When I applied the tip of the nerve stimulator to the vagus nerve of anesthetized rats, TNF production in various organs was blocked. Here was proof that electrical transmissions carried in the vagus nerve regulated TNF production by the immune system. 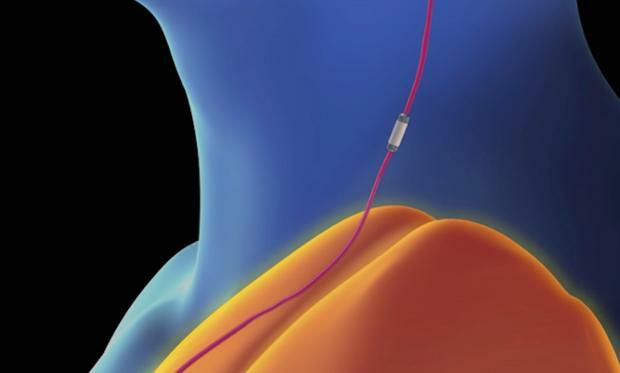 This experiment inspired us to consider that treating inflammatory diseases using a bioelectronic device might be possible." If the neural electrical signals towards a specific organ are incorrect this can lead to disease; by applying the correct electrical signals a disease condition can be treated. "Human and other mammals, and even lower creatures of all types, generate electrical wave-forms from their respective brains that modulate key aspects of vegetative systems. 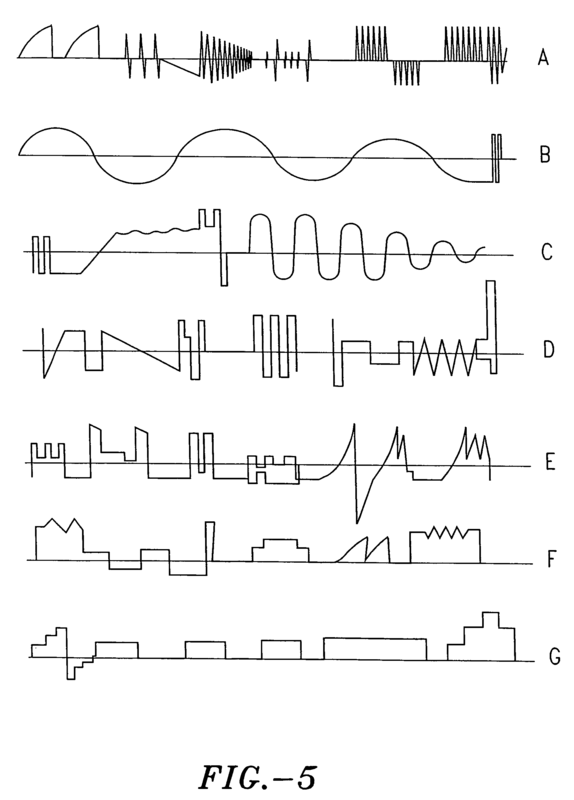 Such waveforms are of similar general linear analog format in appearance, regardless of species." "Seismic, ultrasonic, receiving antennas, direct conduction and other methods may be used to capture the coded brain signals as they relate to body organ performance. Such signals are then stored and replicated for electrical return to the appropriate place for medical treatment concerned with modulating organ function."